Are Marshmallows Bad For You? - Here Is Your Answer. Are Marshmallows Bad For You? When consumed on a regular basis, marshmallows are bad for you. You should have nothing to worry about, however, if you consume marshmallows every once in a while. 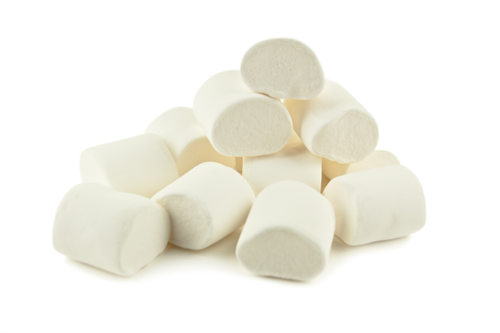 Marshmallows are essentially just a sugar-based treat whose name is derived from an herb called marshmallow. 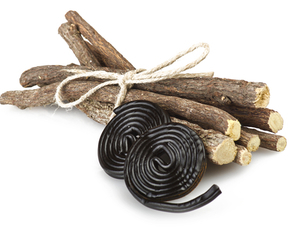 The plant from which the tasty treat gets its namesake, the marshmallow plant, is indigenous to an area that stretches from Europe to North Africa. 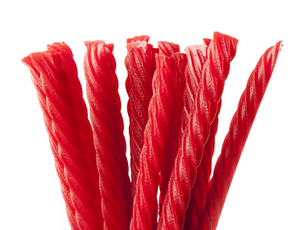 This delicious treat was once enjoyed by the Egyptians and then later by the people of ancient Rome. It was originally fashioned from the sap extract of the marshmallow herb then laced with sugar to form a sweet, resembling that of a cloud. Once a benign delight, marshmallows are now manufactured using water, sugar, corn syrup, blended with gelatin and coated with cornstarch. The new method of manufacturing is much easier when compared to the old method, which involves a lot of work to extract the sap from the marshmallow’s plant. 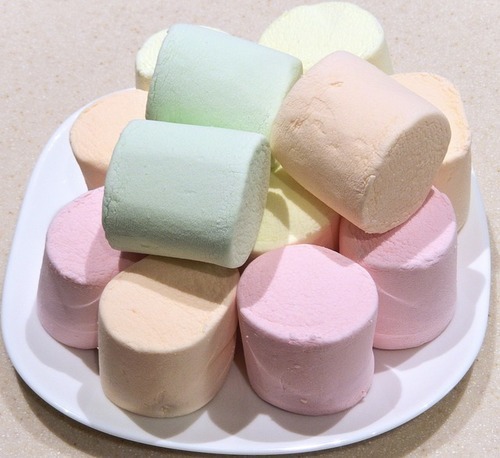 When considering the nutritional facts of marshmallows, the most abundant ingredient used in the modern day production of marshmallows unequivocally, is sugar. Excessive sugar is known for causing a multitude of ailments in the body, including obesity, diabetes II, tooth decay, cancer, inflammation, and much more. Marshmallows contain an insignificant amount of proteins and fat and approximately fifteen percent water. Fifty grams (about one cup) of marshmallows contains around 40 grams of carbohydrates, eight grams of water and an infinitesimal combination of fats and proteins, which yields very low sums of saturated fat and cholesterol. 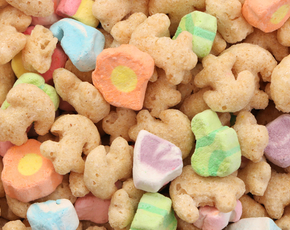 Marshmallows also contain low amounts of sodium, which is always a positive, as it concerns the human body. Marshmallows also contain gelatin which are collagens derived from animal by-products such as egg whites. There are many possible health benefits, such as healthier nails, skin, hair, and more that come from gelatin. It has even been used in some healing practices because it contains the Glycine, a bacteria-fighting amino acid. However, gelatin originates from animal by-products and is capable of transferring a multitude of diseases to human, via diseased tissue. Moreover, gelatin can cause a bloated sensation, heartburn and some people may find its taste unpleasant. Special care should be taken during pregnancy and breastfeeding regarding the consumption of gelatin. Marshmallows that were manufactured using old the production methods straight from the herb proved to be more beneficial from a medical point of view. 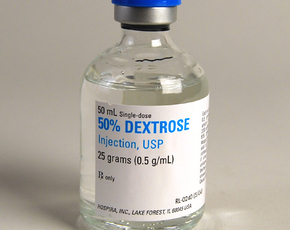 It was used to treat sore throats and dry coughs, as it contains antitussive properties. Additionally, marshmallow extract was used to treat problems such as indigestion, stomach ulcers, respiratory complications, and asthma. Though marshmallows are not the healthiest of snacks, they are not harmful for occasional consumption. When used in moderation, marshmallows serve as a “sweet” way to gather around a campfire with the family and make s’mores—and don’t forget about the occasional, delicious rice crispy treat!